Residential painting is a job that many homeowners try to tackle themselves. In order to get the best results, you need to make certain decisions along the way. Those decisions will make all the difference in the final product you get out of the job. Here are four of the more critical ones that will make all the difference whether you have residential painting done or you do it yourself. The scope of the job. What are you going to paint? That might seem simple, but it really defines the scope of the job ahead. Do you want to paint a specific room in your house or all the rooms? In each room, do you want to change the wall color? Does the ceiling need a new paint job? Do you need to refresh the trim paint? Do you want to paint the outside of your home? Do all surfaces need new paint? Do you want to repaint all the trim? These decisions help you define the scope of work. What type of paint are you going to use on the paint job? Interior paints come in several types including flat, eggshell, matte, semi-gloss, and glossy, among others. Each has its advantages and disadvantages. You also need to decide if you want to use alkyd-based paint or latex-based paints. Again, each has its advantages and disadvantages. You can speak with a paint store expert or rely on your contractor to help you make the correct paint type choice. This is likely the hardest choice for many to make. When you walk up to a color display at a home improvement store, it can be overwhelming. There are a few ways to narrow down the selection. You can choose a shade of your favorite color. You can choose a color that coordinates with your furniture. You can go with a neutral color that coordinates with everything. You can use a predefined color scheme offered by the paint manufacturer. You can ask your painting contractor for advice. All of these methods work. You may think that you can handle residential painting jobs easily. However, here are a few things to consider. Not only do you have to buy the paint, you will need to invest in quality equipment to do the job right. What will take a professional a couple of days to complete may take you several weekends to get done. Professionals have tricks that make the job easier, quicker, and more professional. 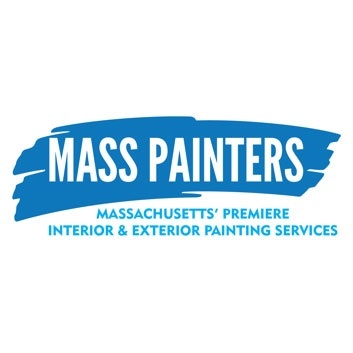 MASS Painters: Multi-faceted painting contractor services in Massachusetts. We provide interior and exterior painting of residential and commercial property’s in Framingham, MA.